In a Republic commentary today, the London-based Russian analyst says this reflects trends inside Russia and the West but even more the interconnection of the two, an interconnection that is often not understood given all the talk about how isolated Russia is as a result of its own efforts and those of others (republic.ru/posts/92564). 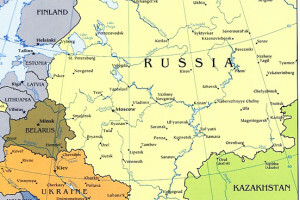 Most discussion about Russia’s “isolation from the rest of the world” only partially conceal “the close, essential and uninterrupted links of Russia with the world, which pass through all its history and play in it a defining role,” Pastukhov continues. “Russia was and remains a significant part of the European cultural eco-system, and all of the essential vacillations and vibrations of the latter are reflected in its fate. More than that, being one of the weakest places of this eco-system, it picks up this vacillations and vibrations earlier than others” and sometimes manifests them in more extreme forms. This trend, of course, is usually called “the rightist wave” and includes the growth of rightwing populists in Europe, Brexit in the UK, Trumpism in the US, and “finally the victory of the rightwing candidate in Brazil,” Passtukhov says. “What do all these various phenomena have in common? Above all, a bet on ‘good’ old nationalism and hostility to globalism which until recently was much loved.” Russia’s turn to the past is very much part of this, a reaction against globalism and a retreat into a past that never was and never will be restored. Indeed, Pastukhov suggests, both in Russia and the West, the leaders of this trend “resemble not architects but archaeologists.” And there are powerful forces now working that make it almost impossible that they will become more than that. Thus “a paradoxical situation has arisen: the world economy is obviously moving to the left,” but political leaders are moving in the opposition direction, in response less to this underlying trend than to the behavior of those who served as the cheerleaders of globalization since the end of the 1980s. Today, he continues, “we are paying with Trump and Brexit for the dictatorship of political correctness and for liberal bolshevism which transformed the demands of minorities into imperatives for the majority. Very rapidly was passed the point at which oppressed minorities… became a terrible force,” offending majorities who are now responding in kind. If the world does survive, it will be “a much harsher one than today with government interference in the economy” and where the distribution of resources will play a role equal to or greater than their production, and one in which cooperation among states and between governments and businesses will be required in order to survive. The risks of today’s “‘temporary’ ‘right wave'” are so great that they may involve a major war. “Moreover, after this ‘right wave,’ there may follow ‘a left wave’ … As a result, the world will remain in a zone of quite lengthy turbulence, from which it will be difficult to escape without losses and the growth of authoritarianism not only in Russia. And Pastukhov concludes: “The world’s economic and political systems are completing a complex and gigantic shift to the left,” one obscured by a temporary shift to the right. Those who want to understand the future must look beyond that and must stop separating Russia out from this broader trend.